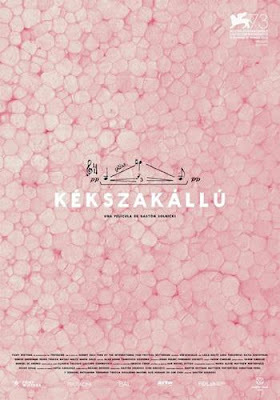 KÉKSZAKÁLLÚ is playing as part of the New York Film Festivals Explorations sidebar. It's supposed to be a grouping of a wide variety of films from across the globe but I'm of the opinion that it's a classification for films that fall some where between the mainstream and the Avant Garde. I say this because having seen KÉKSZAKÁLLÚ I can honestly say that I'm not sure where the film belongs as far as a classifying it. Inspired by Bartok's only opera Bluebeard's Castle, KÉKSZAKÁLLÚ is a look at the lies of several women in Argentina. Told in long single takes with some inter cutting the film is a look at the life of young women who are well off enough to have some boredom or inertia creep into their lives. The sequences play out as slices of life. The thing is I can't really get a handle on what exactly the film is. The first 17 minutes before the title appears with a burst of Bartok's opera, are a collection of images seemingly arranged almost at random. After the title appears sequences seem to develop something approaching a narrative arc. The first part of the film reminded me of the films that usually play in the Projections (formerly View from the Avant Garde) sidebar at the festival. However after that the film becomes just enough conventional as to not be Avant garde. ...it is comprised of moments that seem to have been drawn from memory, with an elliptical continuity that moves according to forms, colors, sounds, and states of being. There is no protagonist in Kékszakállú, but several young women blanketed under layers of sunlit lassitude and politely tamped down discomfort. Nevertheless, this is a joyful experience, moving inexorably toward liberation. I'm not entirely sure about that last line but the rest of it is pretty dead on. I've seen the film twice now. I watched it once all the way through and then went back and watched a chunk of it the second time. To be completely honest I really don't know what I think. That may sound like a snide remark but it's not. In this case it's extremely high praise. Director Gastón Solnicki has made a film that challenges one's perceptions. KÉKSZAKÁLLÚ doesn't fit neatly into one's idea of what a film could or should do. It's not a conventional film, but at the same time it is not experimental either, it's a film that is a carefully crafted to provoke engagement with the viewer. You can not either accept the film or dismiss it without pondering it and considering everything about it. In a weird way for completely unconventional reasons, the fact that the film forces engagement, KÉKSZAKÁLLÚ may very well be one of the best films at NYFF this year. Certainly the film is the first of the twenty something titles I've seen to this point that hasn't just laid there and simply washed over me. It's a film that has dared me to engage and consider and be more than passive. For that reason, as well as others, the film is recommended when it plays at the film festival. 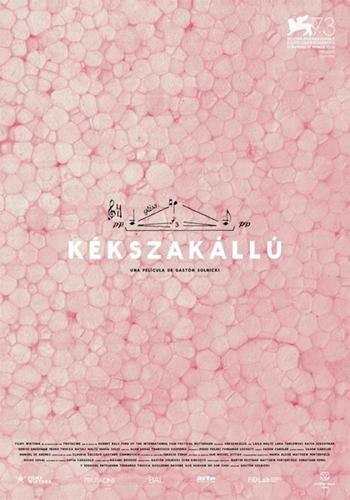 KÉKSZAKÁLLÚ plays October 4 and 5.For tickets and more information go here.